Obituary for Susan J (McDowell) Enfield | Hartzler-Gutermuth-Inman Funeral Home Inc.
Susan J. Enfield, 79, of Elkhart, passed away on Wednesday, August 22, 2018 at St. Joseph Regional Medical Center in Mishawaka. Susan was born on January 4, 1939 in Elkhart to the late William P. and Louisa (Weber) McDowell. She was also preceded in death by a sister, Mary. Surviving is her husband, Raymond of Elkhart, a daughter, Laura Enfield of Burlingame, CA, a son, David (Michelle) Enfield of Portland, OR; one grandson, Scout Burnstine of Middlebury, a sister, Ann Whittridge of Bloomington, IN and several nieces, nephews and cousins. As Susan McDowell, she married Raymond Enfield on August 25, 1962. They would have celebrated the 56th anniversary this year. She graduated from Concord High School in 1957 and then Indiana University in Bloomington with a Bachelor’s in Education in 1961. Susan then received her Master of Education from the University of Illinois in 1965. Sue taught third grade in Homer, IL for three years while her husband attended architecture school. They returned to Elkhart where she taught at Cleveland Elementary for two and a half years. She took a hiatus from teaching to raise her two children and returned to teaching in 1978. She retired from Concord Eastside Elementary as a third-grade teacher in 2001 after 22 years. Susan enjoyed teaching immensely and always created unique and fun experiences for her students. The positive influence she had on her students and the parents reverberated up until the end. 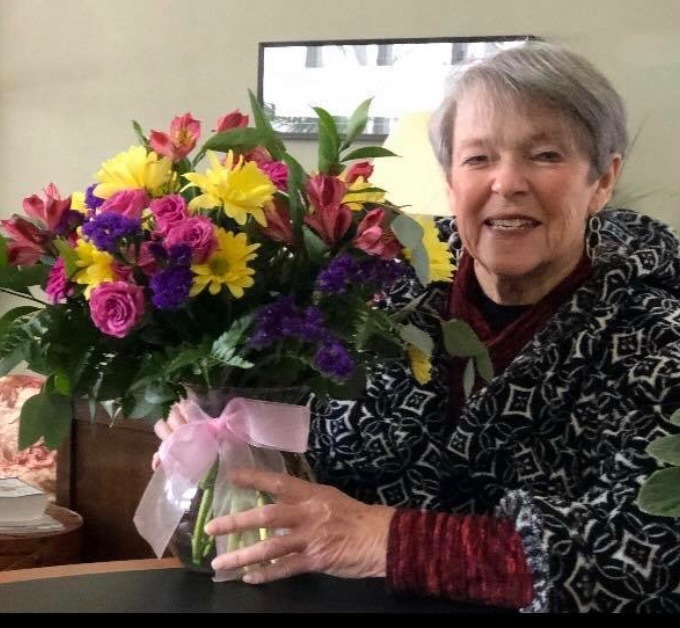 She was always thrilled to reconnect with her former students and parents who cherished her teaching, consideration for them and their success. One trademark she had in the classroom was for her students to learn the states and capitals as well as the U. S. presidents. Susan was active in many social and philanthropic clubs. She was a long-time member of “Chatty Kathy’s” and Home- Ec, both of which brought her joy. She more recently also enjoyed being a member of the Four Arts Club, the retired teacher’s luncheons and PEO. She was a lover of the arts and would attend the presentations at the Bristol Opera House by the Elkhart Civic Theatre and The Lerner. Susan enjoyed taking David and Laura on summer trips to the Brainerd, MN lakes area to visit her sister Ann’s lake cabin when they were young. The Minnesota trips continued annually with her sister and were loved by both. She also thoroughly enjoyed getting family and friends together for celebrations and gatherings. She was a very creative spirt and shared her creativity thought her social clubs, gatherings and any other way she could. She always enjoyed taking pictures and creating cards, photo montages or albums. Always the teacher, she would look for anything relevant to Indiana, such as the restaurant that supposedly created the tenderloin sandwich and the company that is noted for making the sugar cream pie, Indiana’s state pie. Susan will be greatly missed by family and friends. A Celebration of Life will be held for Susan on Thursday, August 30th at 2:00 p.m. at the Unitarian Universalist Fellowship 1732 Garden St. in Elkhart. Hartzler-Gutermuth-Inman Funeral Home is honored to be assisting the family. In lieu of flowers, donations may be made to the Elkhart County Humane Society or the Elkhart Civic Theatre’s renovation fund of the Bristol Opera House.